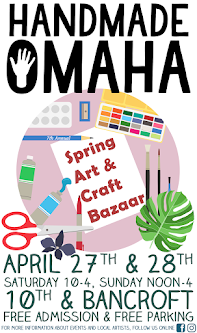 Mr. Enginerd is bringing his Omaha themed accessories for you and your home to the Handmade Omaha Spring Art & Craft Bazaar April 27th and 28th at 10th and Bancroft. Get an Omaha map laser etched on wood, a pint glass featuring your favorite neighborhood, or a fun piece of jewelry! Matt is a wealth of Omaha knowledge, he might know more about Omaha history than any other maker at this show. 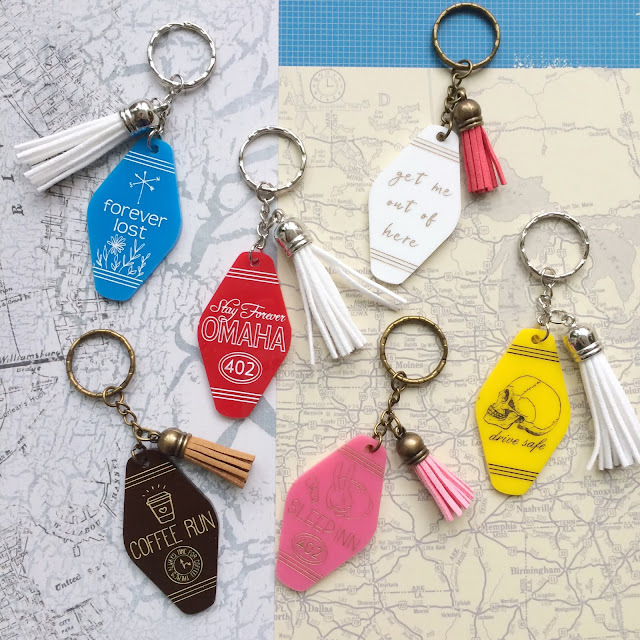 Rachel O's Fabulous Whimsy has something for everyone at the Handmade Omaha Spring Art & Craft Bazaar April 27th and 28th at 10th and Bancroft! 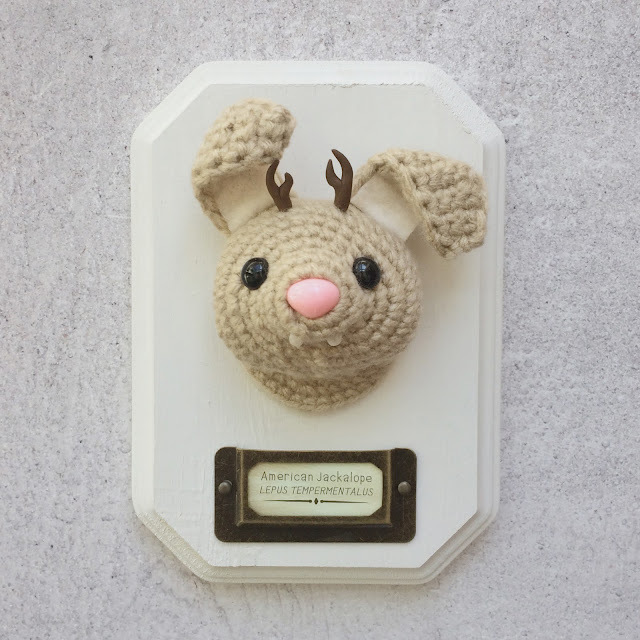 She'll be bringing your favorite fabric button earrings, bright and fun laser cut acrylic jewelry, a whole herd of faux taxidermy jackalope, and NEW motel style key chains. 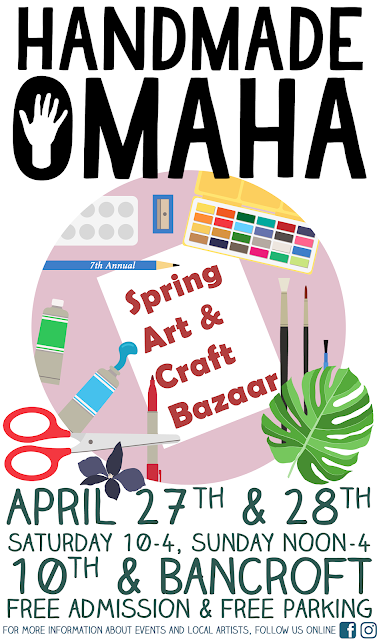 Handmade Omaha Spring Art & Craft Bazaar April 27th and 28th at 10th and Bancroft. 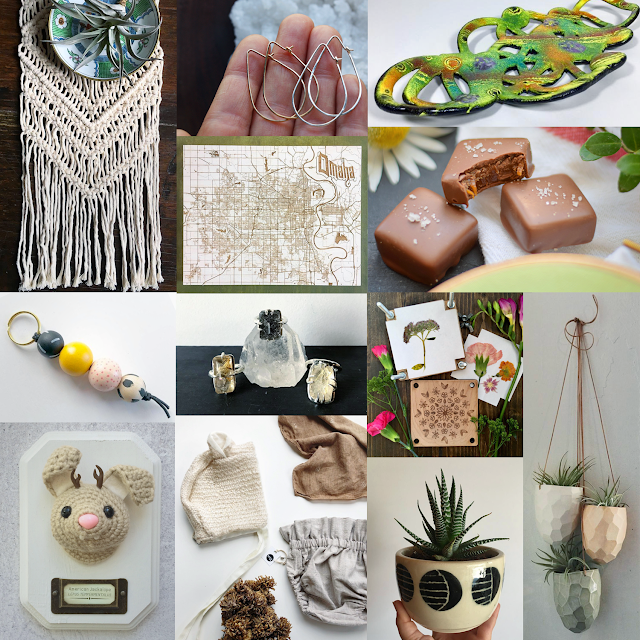 25 local makers will be selling all kinds of handmade goods: jewelry, baby gifts, soap, home decor and so much more! All local and handmade! Visit our FB page for more info on all the makers. We're posting about a different maker every day, so check back often! See you soon! Help us spread the word! Share this post, print the poster, tell a friend! 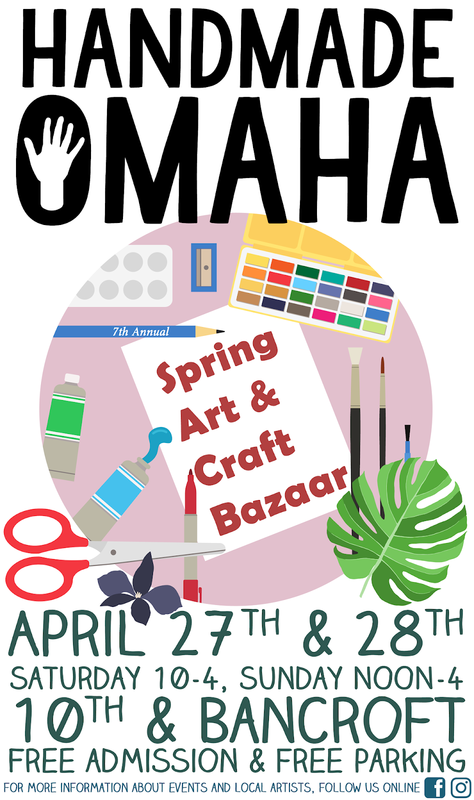 The Handmade Omaha Spring Art & Craft Bazaar is April 27th and 28th at 10th and Bancroft. Shop local and handmade from 25 local makers. Free admission and parking. Visit our FB page for more info about all the makers, or follow on instagram @handmade_omaha for behind the scenes photos as all our makers get ready for the best show of the spring. 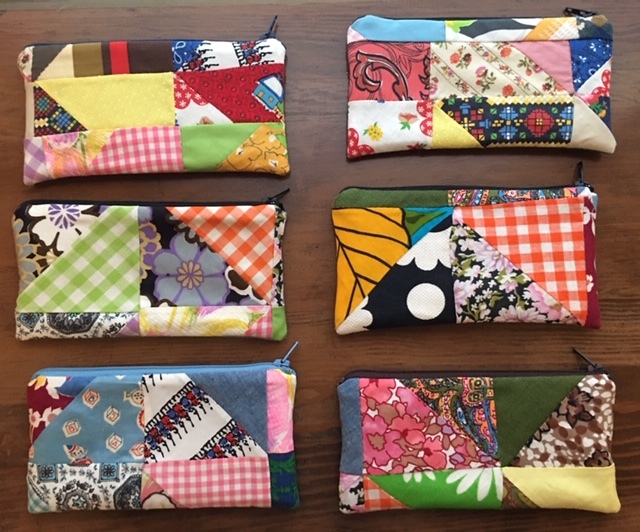 LizAnn Necessities is sewing up a storm, getting ready for the Handmade Omaha Spring Art & Craft Bazaar April 27th and 28th at 10th and Bancroft! 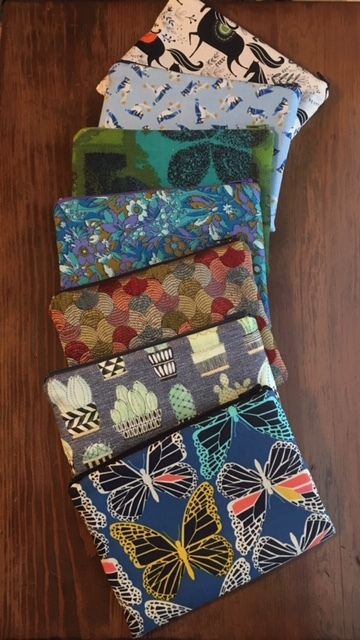 Get your hands on one of her reusable snack bags! Not only are they made with gorgeous fabrics, we've heard a (reliable) rumor that they're great for storing mushrooms in the fridge.